The comfrey used in this ointment is harvested by hand in Aberdeenshire, Scotland, UK. Only the most perfect young leaves are used for optimum efficiency and slowly macerated in organic sunflower oil to produce a premium comfrey ointment. 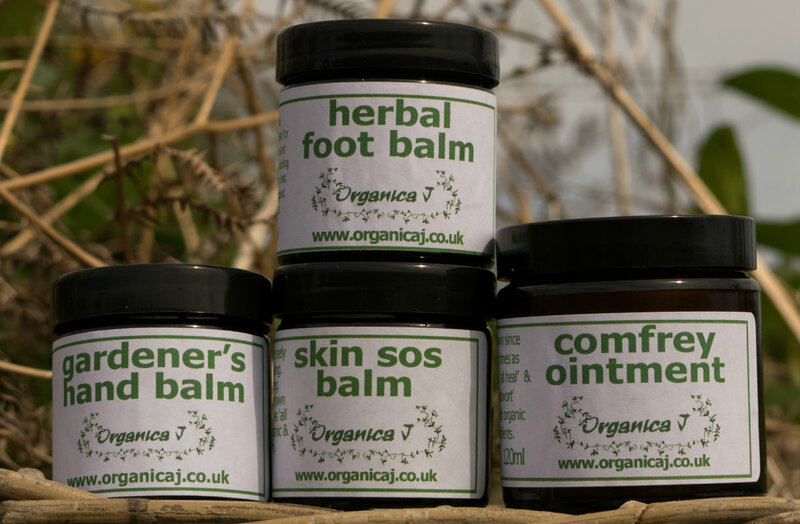 Shop our range of organic ointments containing comfrey gathered in Scotland. Luxurious soaps carefully hand crafted in Aberdeenshire, Scotland. For the past 18 years we have been creating Scottish organic aromatherapy products made using organic ingredients. Our artisan skincare is always cruelty free, synthetic free, GM free and is suitable for sensitive skin. 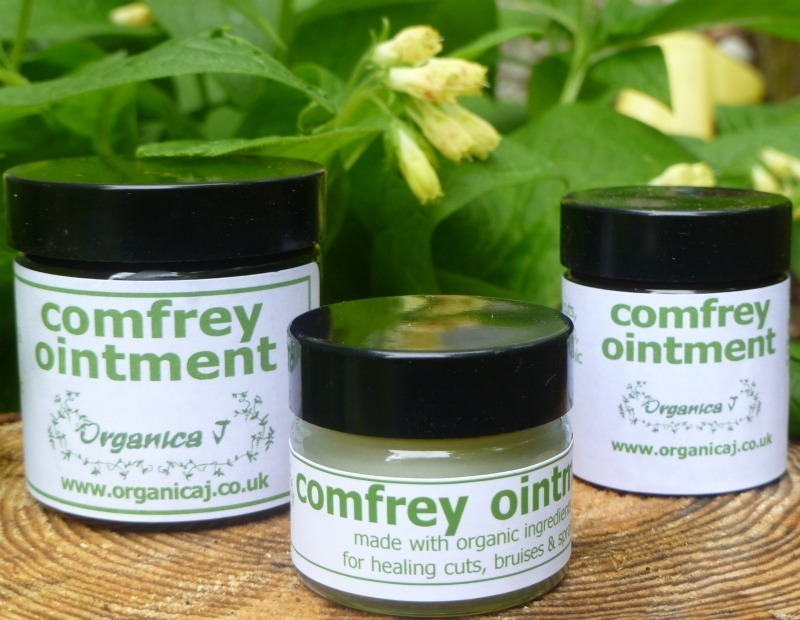 Comfrey ointment is one of our most popular products and hundreds of people throughout the UK are appreciating the benefits. A Happy & Healthy 2019 to customers old and new!! The office will be closed until Monday 7th January at 9am, but all online orders will be processed as normal and go out whenever Royal Mail is operational throughout the New Year period. The Skin SOS Balm is a highly requested product to specifically help with scars, and minor skin issues, The Balm contains a rich blend of powerful organic carrier oils and essential oils. Helpful on psoriasis and eczema-prone skin. Long lasting and leaving sikin clean and silky smooth. Free from preservatives, colourings and animal by-products. Suitable for vegetarians and vegans. No animal testing or GM.